Maya Organic is a non-profit organization from India. 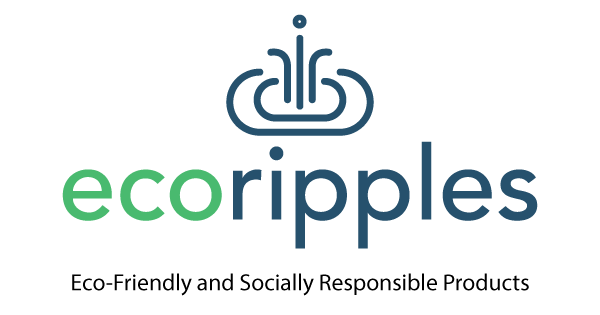 The company is a member of the World Fair Trade Organization. It focuses on livelihood development by working with a network of artisans, workers and micro-entrepreneurs to produce high-quality wooden products. Currently, Maya Organic is working with the artisan community in a small town near the city of Bangalore. As part of their core business, they train several new artisans, particularly women, in the art of handicrafts. This is a non toxic an eco friendly of the traditional, educational toy that we all loved as kids. 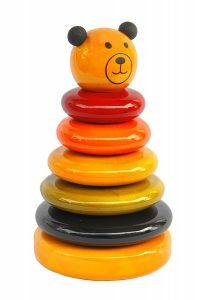 Wooden multicolored stacking toy with five brightly colored rings. Made with safe, natural (chemical-free) and eco-friendly ingredients. For Toddlers 12 months old and up. Product Dimensions: 3 x 3 x 5.1 inches. You can purchase the Rainbow Stacking Toy Cub on Amazon here. The perfect toy to keep you baby entertained while he/she learns about sounds, movement and colors. 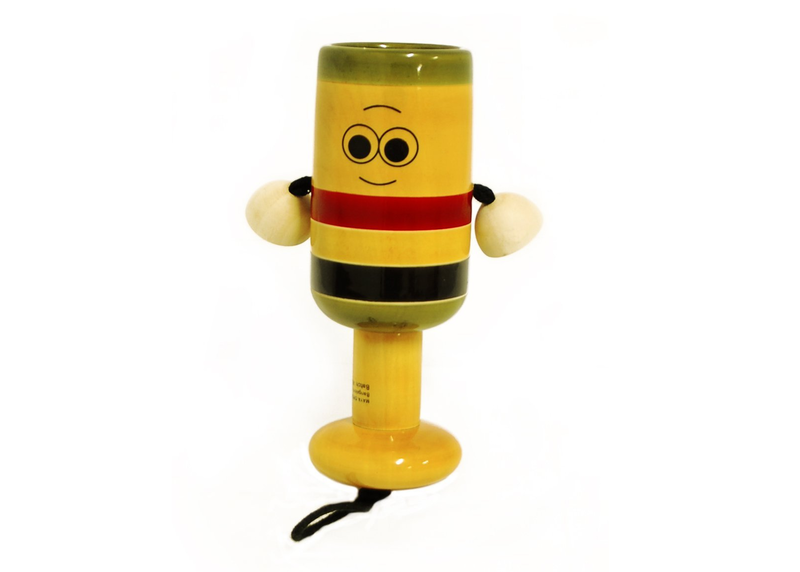 Easy to hold wooden toy with two rattling beads that make playful sound. Suitable for kids from 0 to 12 months. Can be hung in the baby’s crib or stroller during the early months. Has rounded edges and is made from softwood. You can purchase the Wooden Bell Rattle Toy on Amazon here. This is the perfect toy for parents looking for something to motivate their babies to practce walking. Action pull-along toy on four wheels with a fascinating rotating fan on top. A perfect companion for your baby’s first steps. Pulling the toy, along with the rotating fan helps in sensory development, balancing skills, fine motor skills and creativity. Made with Food Grade dyes that use Turmeric, Indigo, Natural Alizarin, Catechu, Kanchi Kum Kum and Ratanjyoth. You can purchase the Pull Toy with Rotating Fan on Amazon here. Older kids who are into cooking will really enjoy this toy. Comes with a storage Picnic Bag. Consists of vegetables, bread, a knife, a ketchup bottle and a few slices of cheese. 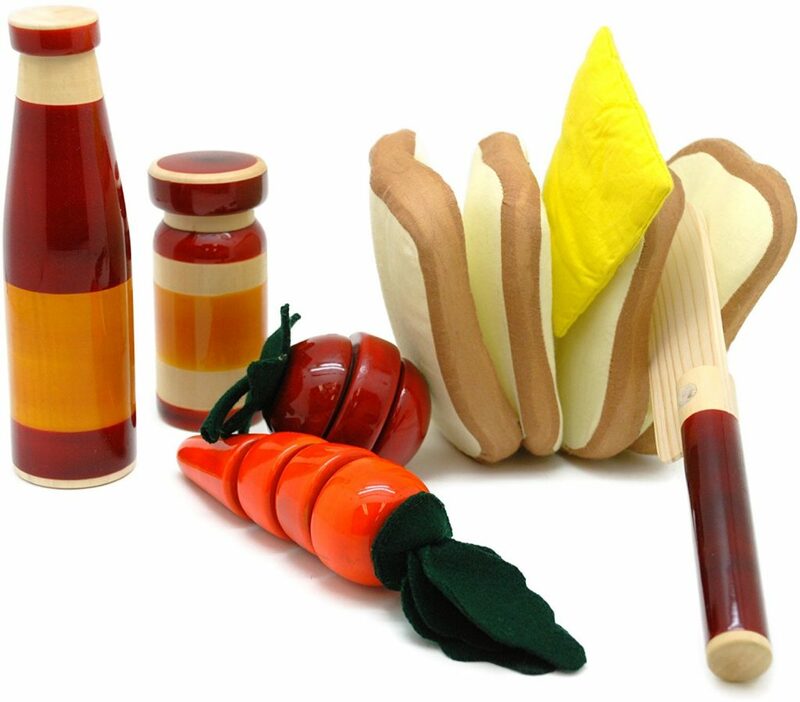 You can purchase the Picnic Set Pretend Play Toy on Amazon here. There are a number of great toys from Maya Organic. You can find a supplier in your area with a quick search online. Do you have any Maya Organic toys? We would love to hear what you think in the comments below.